This week’s drink is the martini. Easily the most famous cocktail of all time. It is also probably the easiest to make. 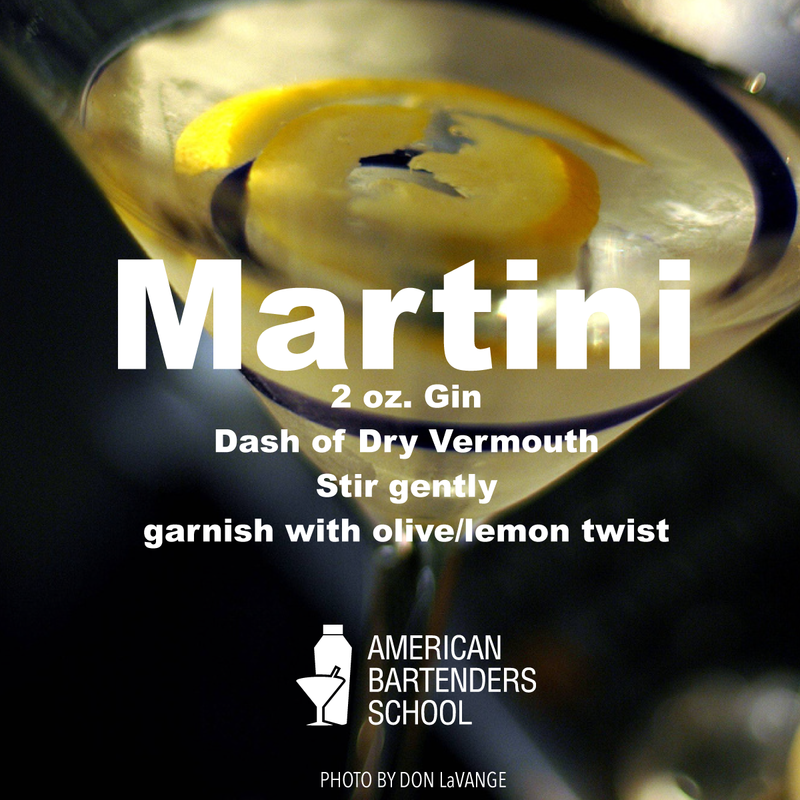 Vodka (or gin) with a splash of dry vermouth, then garnish with an olive. (Or substitute the olive with an onion and you’ve got yourself a Gibson). There’s dirty, there’s French, or there’s dry. Anyway you shake it, it’s a classic. The lineage of the martini goes back a ways. In 1863 an Italian company named ‘Martini’ created and bottled vermouth, which may have led to the drink’s name. There is also talks of it coming out of New York City or San Francisco. Either way it’s popularity grew during Prohibition due to the abundance of bootlegged gin and reached it’s fame when James Bond first asked for his martini to be shaken, not stirred. (The traditional way to create a martini is to stir in a glass of ice. A shaken martini is technically called a Bradford. Thanks to Don LaVange for the pic!